Herman Miller Cubicles - Pre-Owned - Never Used. Only $799 each. Note: Shown in second image with optional end panels, flipper doors and tack-board (red). 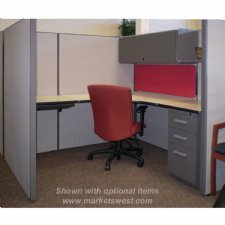 Additional panels & connectors available for additional price. 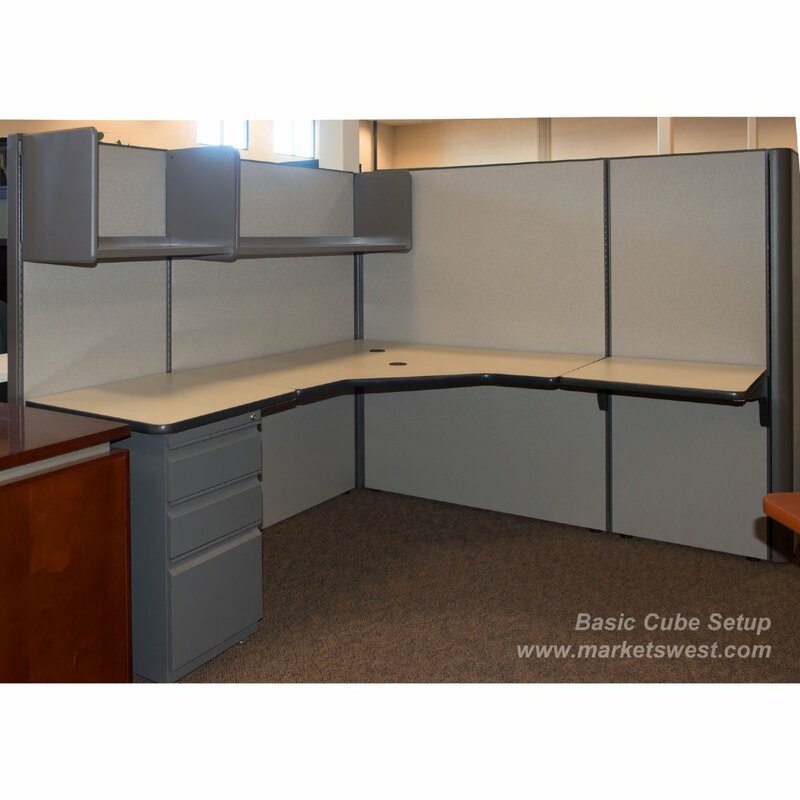 Cubes can be laid out back to back to reduce the number of panels and expense. Contact us for a full estimate. Attractive Fabric Panels from our Century collection with non-powered raceways.